Autumn is the time of year where it can always be acceptable to grab a cosy blanket, shove on a movie and have a cosy night in. These are also the best times – and one of my favourite ways to spend a rainy day. What better way to get into the autumnal mood than dedicate an entire blog post to those nights? To fully reach this cosy night in potential, there are a few essentials in which need to be there. 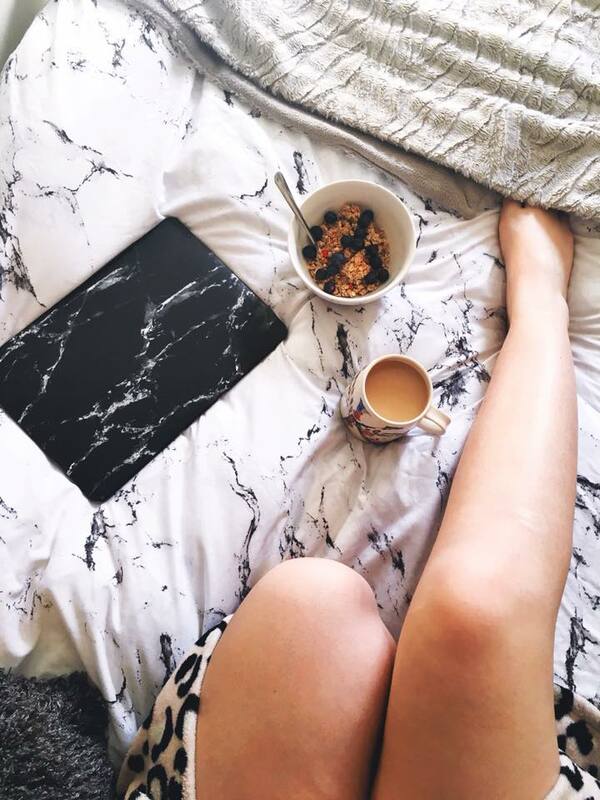 I’ve made a list of my favourite cosy night in (or day…) essentials! 1. Pjs – What even is the point in having a cosy night in if you have to wear normal, regular, day clothes?! Comfort is key, and pyjamas are the comfiest clothing ever. 2. Cosy socks / slippers – You can’t leave your feet out of the cosiness. 3. Blanket – Even though you’re wrapped in cosy clothes, you need a cosy blanket to reach the ultimate cosiness. 4. A movie / tv series – I recommend either a movie marathon, or a tv series if you really want to make a day of it. Gilmore Girls is my favourite series at the moment to binge watch, and it gives me all the autumnal vibes! 5. Snacks – A careful selection of all the snacks you will be craving has to be picked. Popcorn, crisps, chocolate, sweeties! Everything and anything is acceptable. Or perhaps a takeaway of some sort! 6. A hot drink – Tea, coffee, hot chocolate – anything goes! 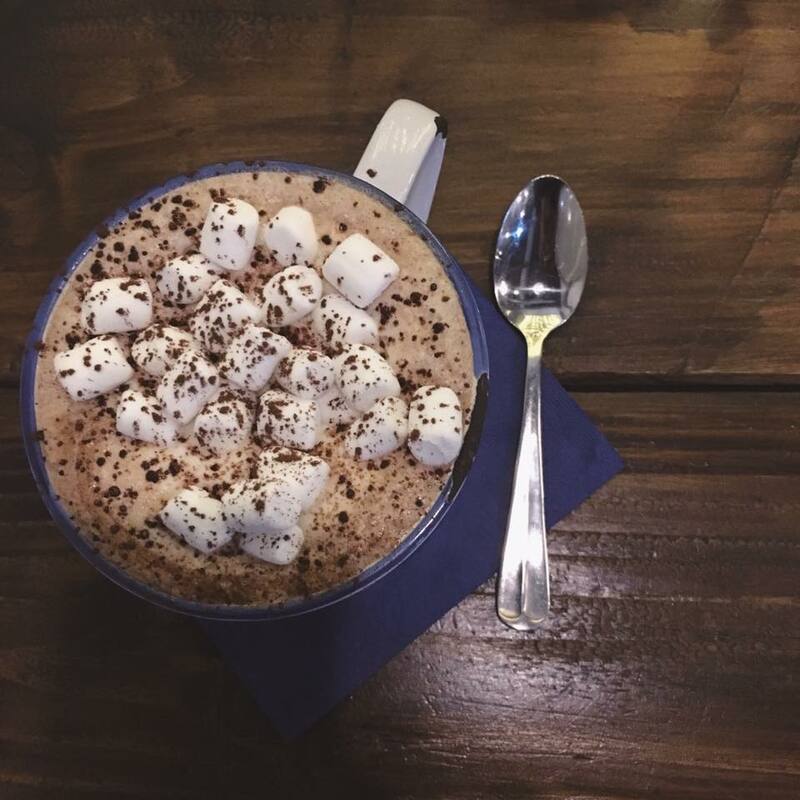 My personal favourite for a cosy night in is a milky hot chocolate with lot’s of whipped cream and marshmallows! 7. A bath – After the hard work of binge watching and binge eating snacks, you need some time to wind down, and a bath is perfect for this. Whip out all the bath products you have stored from Christmas gifts, grab a book / magazine (maybe a glass of fizz / wine) and chill out. 8. Candles – Either when you’re having a bath or just cosied up on the sofa, having some candles lit is so relaxing and sets the mood perfectly. I hope you enjoyed my cosy night in essentials post! I have definitely put myself in the mood for one now… If you have any other personal cosy night in favourites, then let me know! !